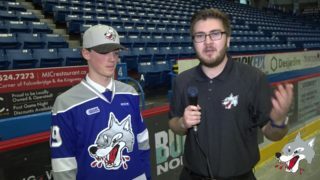 The Sudbury Wolves were thrilled as they captured a hefty 7-4 win over the Peterborough Petes on Friday night for the Bell Let’s Talk game. 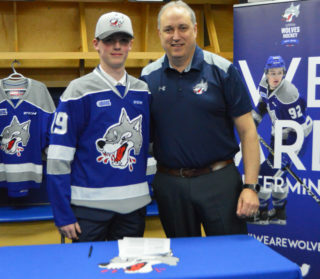 The Wolves repeated last night’s game against the Battalion and had seven different goal scorers which included Blake Murray, Liam Ross, Nolan Hutcheson, Shane Bulitka, Drake Pilon, Cole Candella and Adam Ruzicka. Following Friday’s game, the Wolves continue to sit 4th place in the Eastern Conference with 55 points. Final shots on goal were 33-24 in favour of Sudbury. Blake Murray earned the first star of the game with one goal and two assists, while Nolan Hutcheson earned the third star. Blake Murray and Liam Ross gave the Wolves a 2-1 lead in the first period while Adam Timleck was the lone goal scorer for the Petes. 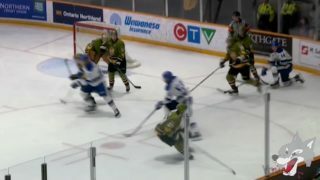 Blake Murray scored first when he redirected a pass into the net from Macauley Carson. Liam Ross wired in a beautiful goal past Jones from the point with Murray and Hutcheson picking up the assists. The Wolves doubled the Petes in shots 12-6 after the first. Adam Timleck added his second of the game just over five minutes into the second period. 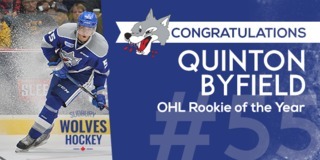 The Wolves then upped their game to score two extra goals to take a 4-2 lead. Nolan Hutcheson with full confidence, ripped one into the back of the net. With under a minute left in the frame, Shane Bulitka buried his 13th of the season with 7.5 seconds left on the Petes power play. Drake Pilon kicked-off the third period by sniping a nice short-handed goal inside the post to make it 5-2. Adam Timleck then followed up by scoring his third of the night to complete the hat trick. With it being a two-goal game, Cole Candella ripped the puck through a screen on the power play for insurance. 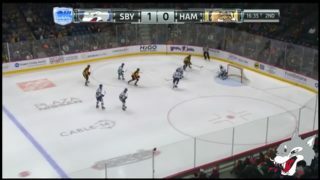 Liam Kirk scored for the Petes halfway through the final frame, however, that was not enough to stop the hungry Wolves. In a last stitch of effort, the Petes pulled their goaltender in hopes to score but Adam Ruzicka hammered in his 17th of the season on the empty net to take home a 7-4 final. The Wolves look to continue their win streak when they load the bus to go fishing in Mississauga Sunday against the Steelheads. Puck drop is set for a 2:00pm start time. The pack leads the season mini-series between the squads 3-2 and are looking to keep things rolling. 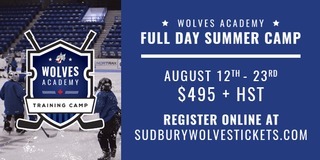 Fans can follow the Wolves on the road by tuning into the live play-by-play on CKLU 96.7 or mixlr.com/sudburywolves.